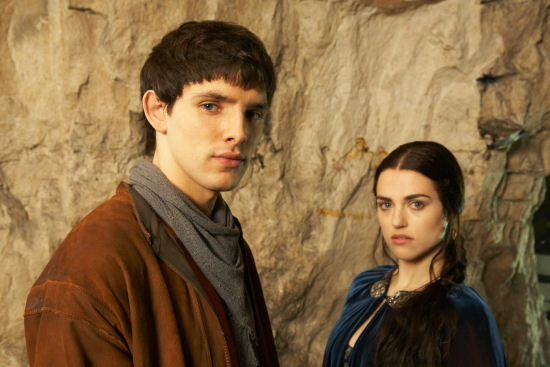 SyFy will be starting Season 3 of Merlin which already was broadcast on the BBC. The series started out seeming far different from the traditional King Arthur legends, but the second half of season two showed development of key characters (Arthur, Gwen, Morgana, and Mordrid) which led them in the direction of the previous stories. A fourth season has also been announced. SyFy is also broadcasting the final five episodes of Caprica on Tuesday night. These episodes, which have already been broadcast in Canada and which are available on DVD, were surprisingly good. I’d suggest recording them and watching without commercials, making the total viewing time more suitable for one or two sittings. The episodes were good enough to keep interest for watching in one sitting. If only the series had been this good earlier. How I Met Your Mother (CBS), 8 p.m.
Rules of Engagement (CBS), 8:30 p.m.
Friday Night Lights (DirecTV 101), 9 p.m.
Modern Family (ABC), 9 p.m. The Big Bang Theory (CBS), 8 p.m. I think it’s a really powerful thing. It’s a whole Greek tragedy, mother-daughter. I was the queen before her. She imprisoned me. She put me in a dungeon, and everyone thinks that I am dead. And so she has become the new queen. Very early on, she comes to visit to me, so that’s when it is revealed that I am alive. It’s a whole power play – my different ways of ruling versus her ways of ruling. They make me out to be the more benevolent of the two. And perhaps I am, but I’m also the queen. That carries arrogance with it. It’s not just all nice. It also is revealed why I can’t leave the dungeon, which is all kind of exciting, too. There are lots of special effects. Gwen will be shown living peacefully in Wales with husband Rhys (Kai Owen) and new baby Anwen when she encounters a “new, epic danger” that will “push [her] to the limit”. Having left Earth at the conclusion of previous miniseries Children of Earth, Harkness will be drawn back to the Torchwood institute by “his unstated love for Gwen”. 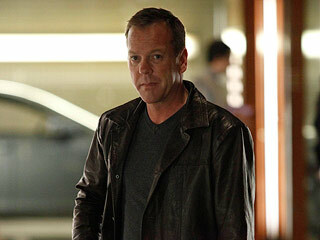 Maybe they should have gone with the death scene for Jack Bauer which had been written for the finale. 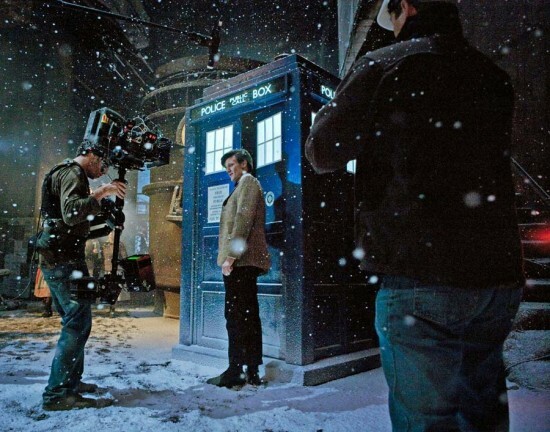 Since 2005 the Doctor Who Christmas Special has become the major television event on the BBC and this year it is being shown around most of the English-speaking world the same day. Of course for some of us it just wouldn’t be Christmas without downloading a copy instead of waiting until 9:00 p.m. when BBC America will be broadcasting the episode. While I will not give away the ending to the main story, there are lots of spoilers as to the other fun stuff in this episode. Doctor Who: A Christmas Carol is Steven Moffat’s first shot at the Christmas special. Moffat wrote an episode based upon the classic by Charles Dickens and interweaving all that “timey-wimey” stuff which Moffat does best. The episodes starts with the space liner which Amy and Rory are taking their honeymoon on being in danger of crashing. The two went from the honeymoon suite to the bridge. We can see that they were role playing with Rory back in his Roman suit from The Pandorica Opens and Amy back in her kiss-o-gram police woman outfit with the very short skirt. Amy contacted the Doctor to help, but the Doctor found that the only one who could save them just didn’t care to, considering that the ship wasn’t going to crash on his house. The Doctor became The Ghost of Christmas Past to change the man’s life so that he would be willing to help. There is not very much of Amy and Rory in the remainder of the episode, but Amy did briefly become The Ghost of Christmas Present. Although I still didn’t have the patience to wait until tonight, it was a good idea to broadcast the special on Christmas in the United States as opposed to a delay as in the past. There are also plans to do the same with the entire next season. Episodes will be broadcast the same day in the United States as on the BBC. Some of the interviews I posted earlier in the week leading up to the Christmas special, such as this one with Matt Smith, have very vague hints as to what is to come. Are you being asked all the time when the Doctor and your Sherlock Holmes will meet up? I think everyone who’s passing me in the streets is suggesting that at the moment. I think there are problems of doing that, because then you would say that Sherlock Holmes lives in the same world as the Doctor, and there are Daleks and all sorts of things. If a Sherlock Holmes story depends on time travel being impossible, it’s quite hard if he’s a personal friend of the Doctor’s, isn’t it? I agree. 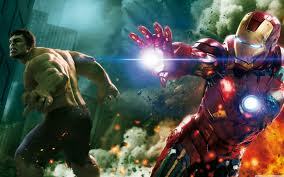 Besides, the personalities of the two are too similar and there’s little sense in having both in the same story. 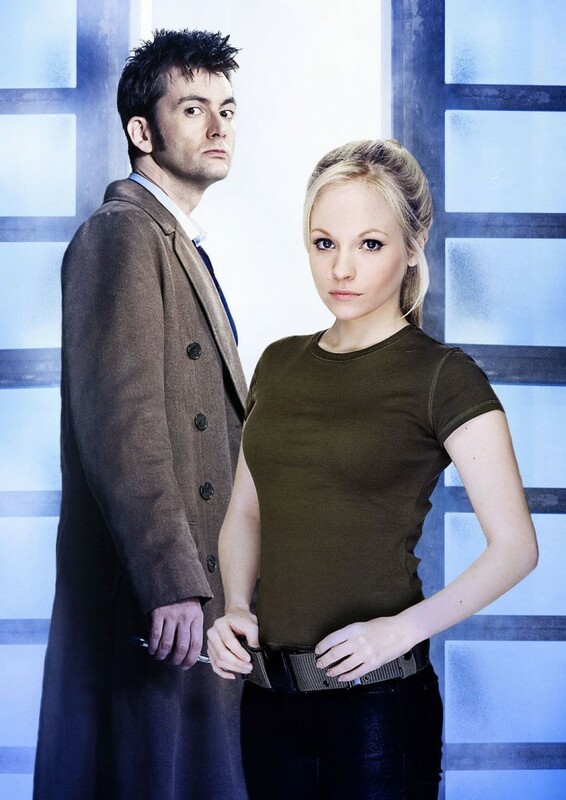 I’d much rather have the Doctor and Amy meet the characters in Moffat’s previous show, Coupling. 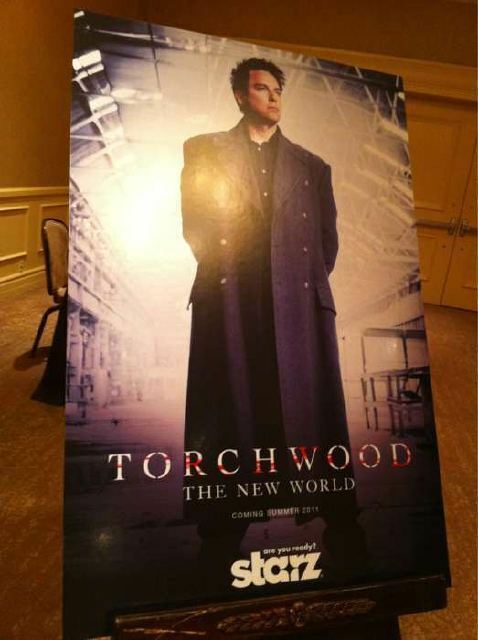 “But I have turned down a load of other shows to make Torchwood. We’ll be filming it in LA as it’s now a collaboration between the BBC and the Starz Network in America. John will be 50 by then – doesn’t he worry his leading man looks will start to fade? He shrugs: “Captain Jack turns into the hideous creature The Face Of Boe in the fullness of time so he won’t always be good- looking anyway. “But I’ll keep playing Jack as long as I can. I caught the final five episodes of Caprica which have not yet aired on SyFy this weekend and for the first time am sad that the show was not renewed. I think the show would have done much better if it was presented more in the mode of many BBC and premium cable shows with thirteen episodes, and with all in one stretch. 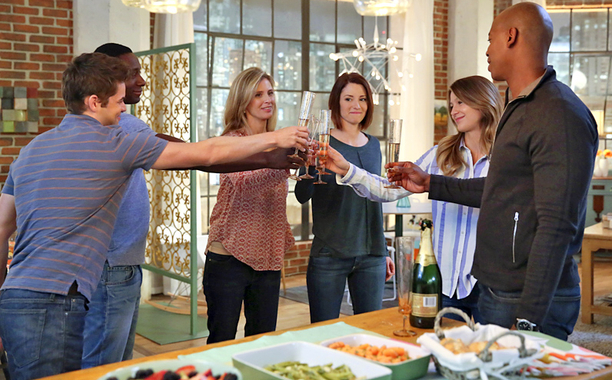 Dividing the season resulted in multiple threads leading to a mid-season cliff hanger. By the time the show returned it was difficult to recall the details of each storyline or to really care that much. 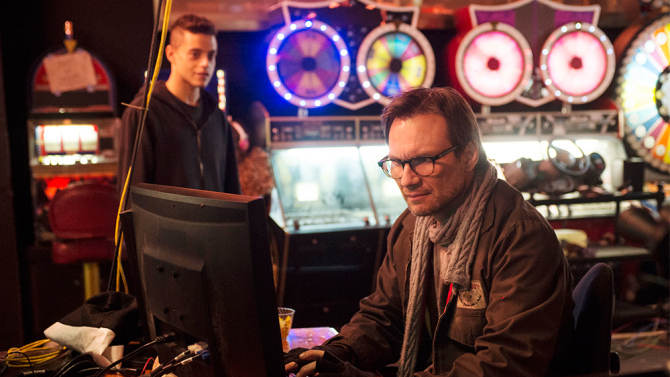 A shorter season might have avoided some of the superfluous story lines. The final episodes still contain separate story lines but they all seemed far more coherent with the episodes working as a five episode mini-series. The stories are wrapped up to different degrees in the finale. 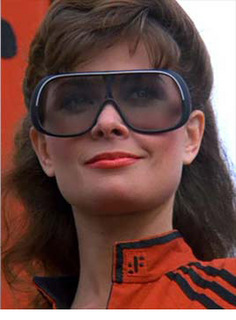 The episode concluded with a series of scenes from what presumably would have been future episodes if the series survived. They provide a satisfactory bridge between the season of Caprica and what we know of Caprica from Battlestar Galactica. 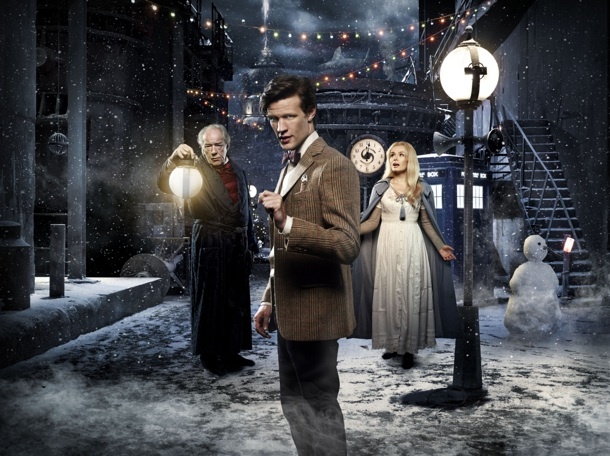 Above is a promo for the Doctor Who Christmas Special, A Christmas Carol. Unlike previous years, the episode will air in the United States and some other countries on Christmas Day. In previous years there would be a delay, leading to many fans downloading pirated copies instead of waiting. The above scene, taking place between The Eleventh Hour and The Beast Below, shows Amy’s first reaction to the Tardis and the Doctor’s explanation of why the Tardis appears like a police box from the outside. It also shows why Amy is floating in space at the beginning of The Beast Below. 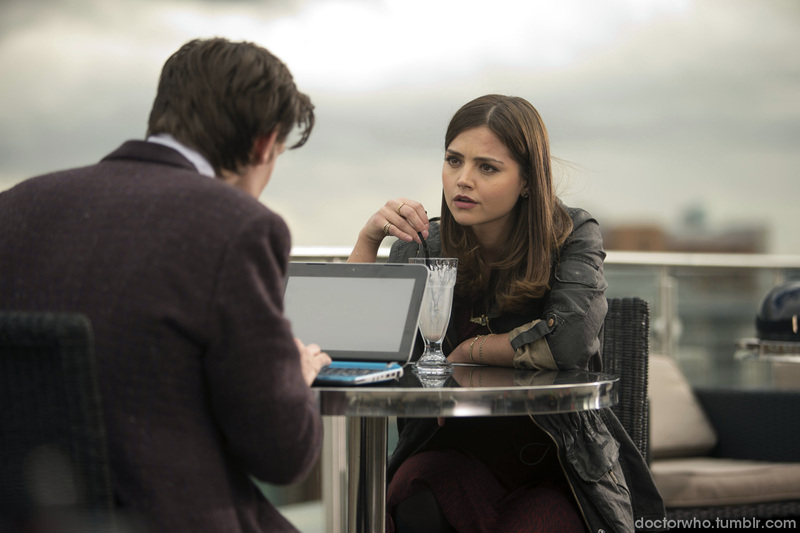 The second scene above takes place after Amy kissed the Doctor at the end of Flesh and Stone and before The Vampires of Venice. Amy figured out that she was not the first to join the Doctor and asked how many before her were female and whether they were hot. Those who are eager to see the five concluding episodes of Caprica don’t have to wait long, and they have a few choices as to how to see the episodes. While the episodes were held back on SyFy, they continue to air in Canada on the Space Channel and some US fans have been downloading them. Unfortunately, while Caprica aired in high definition on SyFy, it is only airing in standard definition in Canada. Those wanting DVD quality can purchase the DVD set in December while those holding out for full high definition only have to wait until early January. 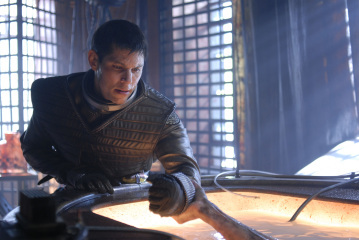 SyFy will be airing all five remaining episodes on January 5 starting at 6:00 p.m. eastern time. 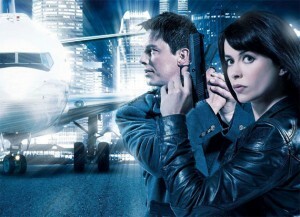 Torchwood creator Russell T Davies has revealed more details about the upcoming fourth series, subtitled The New World. 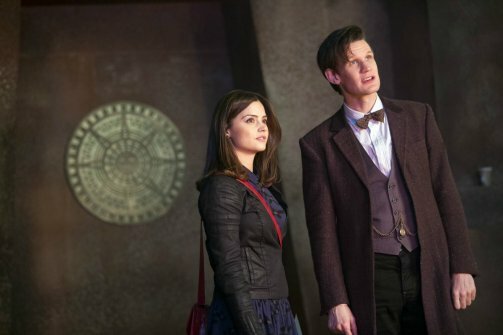 Davies also confirmed that The New World would take place two years after the events of the previous series. He added that plans to shoot on location in Los Angeles were “yet to be confirmed”. Recently there have been reports that The Doctor’s back story has been revised to allow for infinite regenerations rather than the previous limit of twelve. The episode of Sarah Jane Adventures which started these stories aired recently and a clip is above. The limit is actually set at 507, which is probably as good as infinite in terms of keeping the series going. It is notable that this number was given quickly and we cannot be certain if The Doctor was being serious. The story was also written by Russell T. Davies rather than current Doctor Who show runner Steven Moffat. I still wouldn’t be surprised if Moffat decides to take advantage of the limitation to thirteen lives to provide for an arc in which The Doctor must find a way to exceed this limitation. Karen Gillan and Steven Moffat have both been nominated in Screen Category in the Glenfiddich Spirit of Scotland awards. The awards scheme honours Scots who aim to exceed all expectations in their chosen fields across Scotland’s rich cultural spectrum. 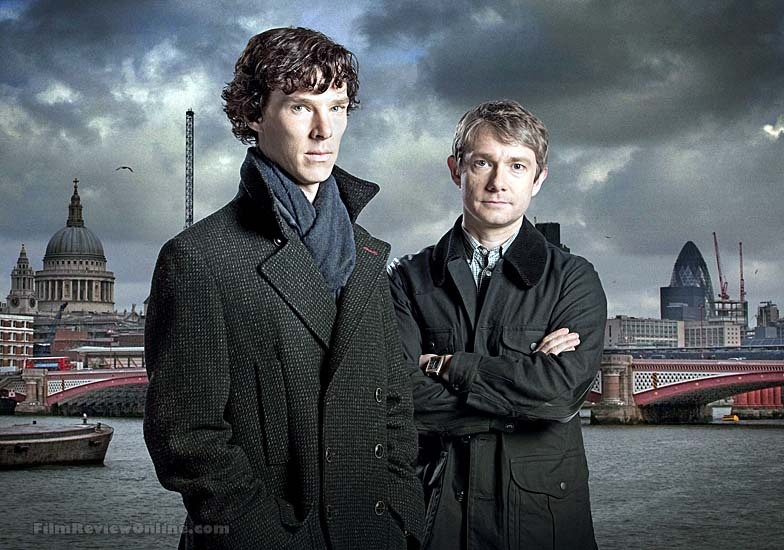 Sherlock, the adaption of Sherlock Holmes by Steven Moffat and Mark Gatiss, concludes its US airing on PBS tonight. 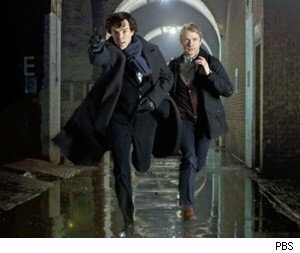 Sherlock finally meets his nemesis in a cliff hanger which leaves us anxious for the second season to start. Most responding to the news of Caprica being canceled were not terribly disappointed, but those who are are disappointed are launching a campaign to Save Caprica. Those who cannot wait until the remaining episodes air in 2011 might be happy to hear that the DVD of the second half of the season will still be released in December as originally planned, including the unaired episodes. As I reported earlier this week, and predicted last week, Caprica has officially been canceled. The show already had one hiatus this year, which probably did not help matters as I bet many viewers are having difficulty keeping track of the large number of plot lines. There will be a second hiatus with the remaining episodes not airing until 2011. As the show is undoubtedly costlier to produce than many of the other shows on SyFy, I can understand why the network decided ratings were too low to justify renewal. However, now that the shows have been made, I would think that it at least holds its own against many of the other shows being aired. If ratings are really that terrible that they don’t want to show the remaining episodes during prime time this fall, they could always air them at odd hours for fans to record. The two-hour spinoff pilot, from executive producer David Eick, will follow a twentysomething William Adama during the 10th year of the first Cylon War. He soon finds himself leading a top secret mission that could change the course of the war. 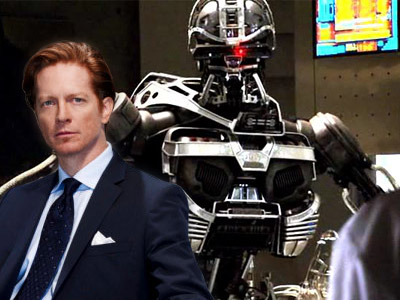 “While maintaining the themes of politics, social propaganda, and the timeless question: What does it mean to be human?, ‘Blood & Chrome’ will also return us to the authentic, relentless depiction of combat and the agony and ecstasy of human-Cylon war, which was the hallmark of ‘Battlestar Galactica’s’ early seasons,” Eick said in a statement. “Blood & Chrome” was originally ordered last summer by the network as a Web series, with former “Battlestar Galactica” co-executive producer Michael Taylor tapped to write the nine mini episodes. GB: What can you tell us about where this falls in the mythology? GB: In some ways, all the previously shown history might be seen as confining — we know who lives and dies at this point — so how do you sidestep those challenges? GB: Anything you can tell us about the title or its origins? DE: Michael Taylor, one of my partners on the cracking of this story and the writer of the teleplay, gets full credit for the title. We’d been calling it “the ‘Young Adama’ project,” and then one day the script shows up with that wild and provocative title. GB: Is there a new character being introduced that you might give us a hint or two about? While Caprica has been canceled, some other genre shows received better news in the past week. ABC picked up No Ordinary Family for the entire season and BBC has renewed Merlin for a fourth season. In other interesting, even if perhaps not very significant, genre news reported here earlier in the week, the Texas Supreme Court has cited Spock while interpreting the Texas Constitution. 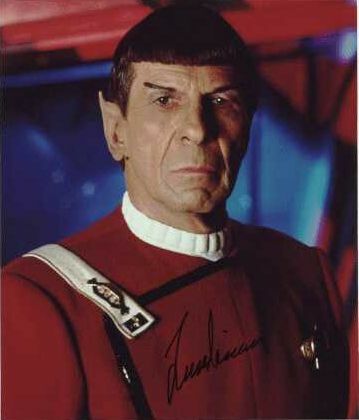 The ruling (more details in previous post) quoted Spock ‘s credo “the needs of the many outweigh the needs of the few” spoken as he was dying in Star Trek II: The Wrath of Khan. If conservatives get upset when an American court cites a foreign court, how will they react to a court citing a Vulcan? Will conservatives begin attacking the principles of The United Federation of Planets as they now attack international law? The discovery of someone who appears to be using a cell phone in an old Charlie Chaplin film, The Circus, resulted in a lot of buzz about the possibility of a time traveler being caught on film. It was way too much fun to speculate about time travelers to worry about details such as how one would use a cell phone in an era lacking cellular service. The explanation that this was actually an old hearing aide is far less interesting. Maybe the time traveler in the video above had found a way to communicate through time, like Olivia Wilde in the video above which presents an urgent plea from 2057 to vote. You don’t really want a future in which President Sarah Palin declares super-war on Norway do you? There continues to be a great hour of genre comedy from 8:00 to 8:30 on Thursday nights. I doubt anyone has questioned including The Big Bang Theory as a genre show considering its frequent references to science fiction and comics, along with its major presence at ComicCon. Last week’s episode had Leonard hook up with Raj’s sister and next week’s episode features a guest appearance by Eliza Dushku (of Dollhouse) as an FBI agent who interviews other cast members for Wolowitz’s security clearance. I also loosely classify Community as a genre comedy due to its many references to movies and pop culture. This was most obvious in last week’s episode featuring zombies. There’s an even worse threat than zombies on next week’s episode–mean girls led by Hilary Duff. A video preview is above. As I suspected would occur in the last installment of SciFi Weekend, Caprica has been canceled. Remaining episodes are going to be held until the first quarter of 2011, by which time most people will have totally forgotten about the show. SyFy is looking at another Battlestar Galactia spinoff which will take place during the first Cylon War. Trekweb has more information on the proposed show. No comment yet from show runner Jane Espenson (who once tweeted as CapricaOne). A couple of other genre shows are doing better. The BBC has announced a 4th season of Merlin and ABC recently picked up No Ordinary Family for an entire season.